You hair started to look dry and dull? 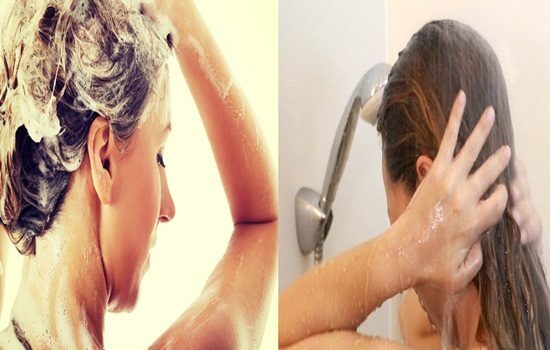 you can make it look fabulous again with a prober wash, washing your hair is not just about making sure it is clean, there are secrets you should follow every time you wash your hair in order to get that fabulous hair you are dreaming to have, read the following to discover those secrets. 1- Prepare Your Hair First. Preparing your hair before even shampooing it will make such a huge difference, washing your hair, shampooing and conditioning is such a hectic experience for your hair and can harm delicate hair tissues badly so a pre-wash before shampooing will get your hair ready to del with the harsh chemicals. 2- Use A Preshampoo Treatment. Pre-shampoo treatment is easy and simple, all you will need to do is to apply your favorite hair oil to your hair, massage properly your scalp with before you shampoo your hair, the oil will work as a natural barrier to protect your hair from the harsh detergents in shampoo, you can also use honey, avocado or Greek yogurt to Preshampoo your hair. 3- Choose The Suitable Shampoo. There are too many brands and different types of shampoo, for curly strands, for straight hair, natural hair, relaxed locks, color treated hair and so on, all these different types exist for a reason, making sure you choose the suitable type of shampoo for your hair will ensure the best results and the minimum amount of damage possible. Before you buy any hair product make sure to check the list of ingredients in the product, sulfate is a product widely used in hair products although it actually does more harm than good, sulfate stripes the hair off of its natural barrier that protect it from damage which as result leave the hair dull and unhealthy. 5- Learn The Type Of Your Hair. Following hair washing tips will not help you if you don’t know the type of your hair and provide the needed care for your hair type, a simple hair test to find out the type of your hair is by simply holding a strand of your hair between your fingers, then pull the ends apart, if your hair is so elastic and almost sponge like then you should be considering hair products that contain protein, if your hair is split then focus more on moisture. 6- Detangle Your Hair Gently. Detangling your hair could be a time consuming task specially if your hair is long and curly, however it is very important to keep your patience and be gentle with your hair, it is best to just take one small section of your hair and work it through at a time then take another one, it is also recommended to detangle your hair while it is still wet it could be much easier. When you apply your shampoo it is better to divide your hair into two sections and wash each part with the minimal amount of shampoo possible to clean the hair and the scalp, rub and massage properly but if you washing your hair daily avoid massaging your scalp, then wash properly with water and condition. Just like most of us would apply a good quality skin moisturizer after showering, your hair too need a good conditioner after shampooing, you can even make a deep conditioning treatment using your favorite hair oil and cover your hair with a warm towel for twenty minutes then rinse off your hair, in any case a role of thumb you must condition your hair after washing it because the shampoo stripes out the natural oils that moisturizer the hair and you need to replace it.